Save $10.00 off the individual product price! 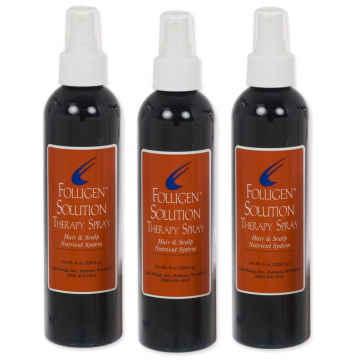 Folligen Therapy Spray works to stimulate new hair growth by activating more follicles on the scalp at any given time. The spray formula is perfect for thinning hair, and the Folligen Lotion or Folligen Cream versions are perfect for receding hairlines. This product is categorized as a growth stimulant (generating hair growth), rather than an antiandrogen (stopping hair loss at the cause). Rogaine Foam and the Laser Comb are complementary growth stimulant treatments that will work synergistically with Folligen if you'd like to stimulate growth from another angle. Men and women using growth stimulants will increase their chances of success by adding an antiandrogen to the mix. Antiandrogens prevent further loss and stop the actual cause of hair loss. So the two work quite well together. Recommended antiandrogens include Kourosh DHT Blocker, Revivogen MD Scalp Therapy, Topical Spironolactone, and of course Propecia (men only). This technology was tested in partial FDA trials and shown to effectively shorten the resting phase of the hair follicle. 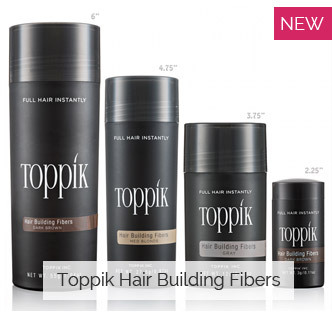 This is important because a significant portion of thinning hair is in the "resting" phase at any given time. This treatment brings those resting follicles into growth phase, resulting in a larger number of active follicles on the scalp. This results in thicker, healthier looking hair. 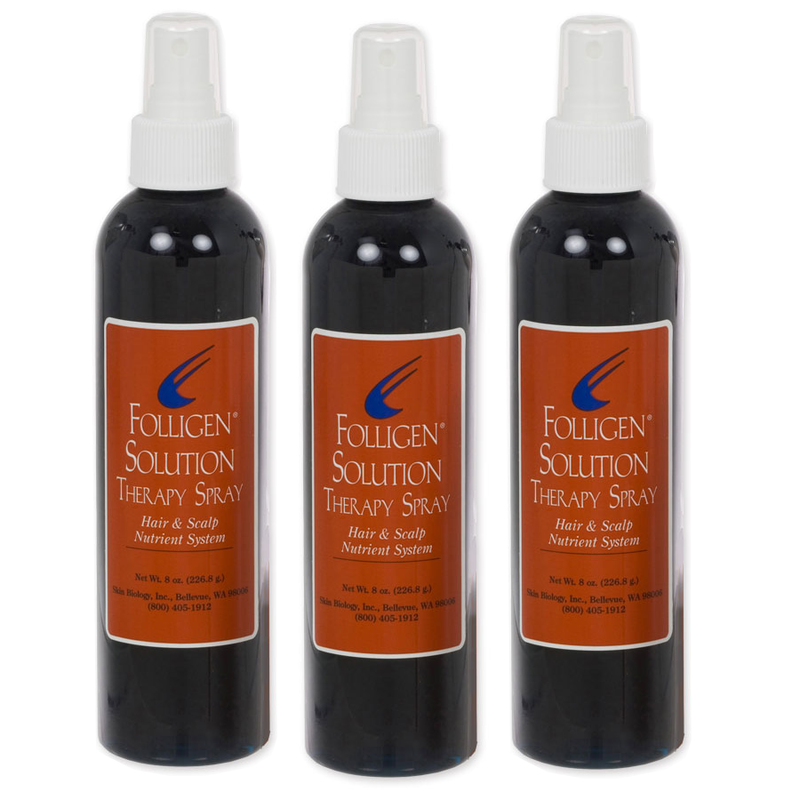 Folligen Therapy Spray can be used in conjunction with Rogaine to stimulate hair growth in both men and women. 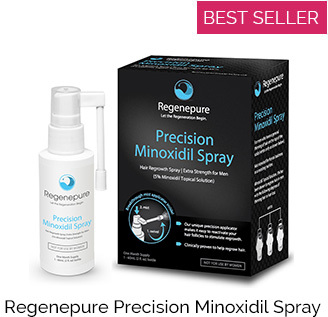 Many of our male users combine it with Propecia or RevivogenMD ValuePak as well, to address the causes of hair loss rather than just trying to stimulate regrowth. Additional product suggestions for this can be found to the right. 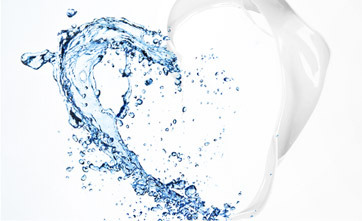 Purified Water, Aloe Vera Gel, Copper Peptides (hydrolyzed soy protein and copper chloride), Glycerin, Propylene Glycol, Polysorbate-20, Allantoin, Diazolinydinyl Urea, Methylparaben, Propylparaben, Herbal Fragrance.